Enjoy Utah! 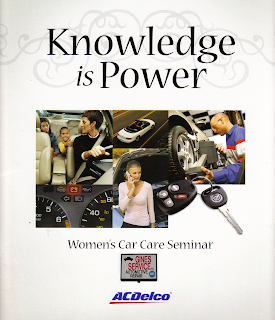 : FREE Women's Car Care Workshop: "Knowledge Is Power"
FREE Women's Car Care Workshop: "Knowledge Is Power"
If you’re a woman who makes decisions about repairs on your vehicle, you know that knowledge is power. That’s why Gines Auto Service in Kearns, UT is happy to announce their first Women’s Car Care Workshop, happening Thursday, January 13th, 2011. Get ready for a different kind of “ladies’ night” — the Women’s Car Care Workshop. Because knowledge really is power. Sponsored by ACDelco automotive parts. Gines Auto Service is providing a night out and some excellent advice on vehicle maintenance for busy women. 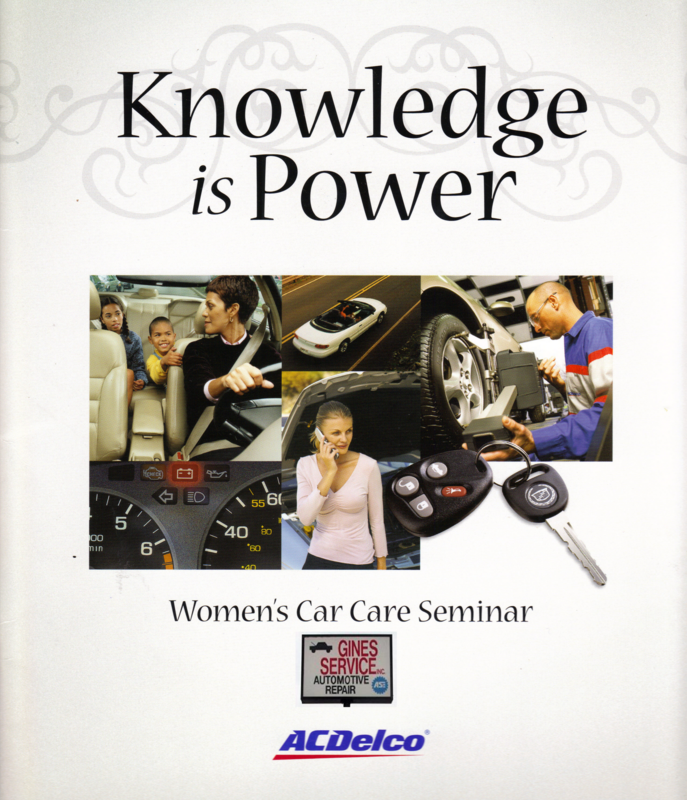 As part of the ACDelco "Knowledge Is Power" women's initiative, Gines Auto Service is offering a free workshop on Thursday, January 13th 2011 at 6:30pm. The seminar is designed to better acquaint women with vehicle maintenance needs and instill confidence in their ability to manage vehicle service needs. CLICK HERE to register for this workshop. Please fill out a separate registration for each attendee.